All Aboard and Yo Ho greetings to you. The Train Conductor sures looks up to his Matey-ist brother. We finally made it out of the house (felt like the first time in a couple of months) to absorb a little fall ambiance. We have a favorite little pumpkin patch that we've taken the boys to for the last four years, so we couldn't let the month pass us by without making our annual voyage. As I looked through these photos, all I could think was how old our boys look all of a sudden. Maybe it's because my camera has been collecting dust for awhile, but they just look so grown up to me. Nash was thrilled when he spotted the pumpkins. Nash determined the best pumpkin via taste test. And Troy thought to grab a fifth little pumpkin for our new babe (poor guy always has to meet us places coming straight from work). The old tractors that the patch has on site are always a hit. See, so grown up and thoughtful. We trekked through the corn maze (three times). And of course topped off the night with a hayride. Or the "hay tractor" as Nash called it. It felt so good to get some fresh air on a beautiful fall evening. And as add added bonus, now we have some cute pumpkins by our front door. I have a best friend in Michigan that hasn't been able to physically help me during this rough pregnancy. But in addition to our weekly phone chats where she always makes me feel better because she can relate to extreme pregnancy sickness, she sent me a heartfelt email several weeks ago that meant more to me emotionally than any meal or clean counter did at the time. I was going through a round of what I like to call "mom guilt," because obviously I'm not the world's greatest mom right now. Our boys are barely getting their basic needs met. Her words helped me out so much to relieve some of the mom guilt I had been feeling, so I asked for her permission to share it with you. As moms, we all get hung up on perfection. Sometimes we need to lower the bar a bit, especially when things are out of our control. 2. You feel lame because your kids will be watching a lot of television for the next couple of months. That's like apologizing because your kids get Christmas presents this year, and it isn't good for them to be spoiled. Let's face it. Watching unlimited television is pretty much like Christmas morning to a kid. Maybe you would be lame if it was forever. But if it's just for a few months, you're not lame. You're Santa Claus. 3. You feel guilty because you're not feeling excited about being pregnant. You're not excited because you feel like crap and you feel like you can't be a good mom to your other two children. Let me tell you what kinds of moms should feel guilty; moms that do drugs while they're pregnant, moms that don't know who the dad is, moms who are pregnant because they are prostitutes, moms that can't afford to take care of their baby, moms that beat and neglect their children, and moms that don't know how to show love to their children. Sadly, this is the majority of the kinds of moms I associate with in my job. You should not feel guilty because you're not excited about being pregnant. You will be. And your child will be luckier than 90% of the children around him/her. Also, try as I might, I can't remember a darn thing from when I was a fetus. 4. Even some of the worst days that you have experienced lately illustrate what a good mom you are. For instance, the soccer game from you know where. Just think of all the children who never even get a chance to be enrolled in soccer, because their parents can't afford it, or their parents don't ever put their children first or give them enough thought to think it might be good for them to try different activities. Most people in your shoes would have said "Screw soccer. I'm staying home in my pajamas, and you can watch cartoons for the rest of the day." But you went out and endured a soccer game, full of crying, snot flinging, and a barf taste in your throat. Lame Mom? I think not. 5. Last but not least, (and on a more serious note), you are a good mom because you care, and are so worried that you are NOT being a good mom. 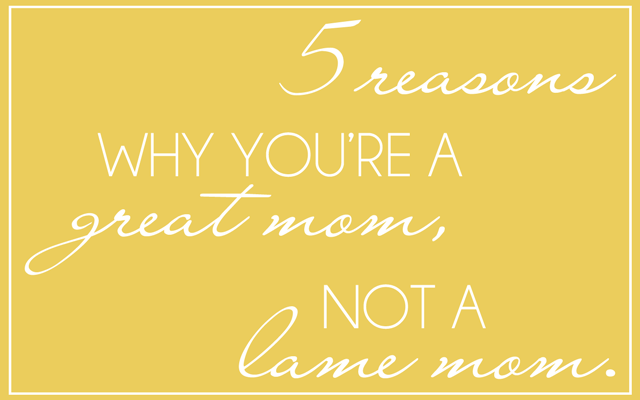 If you weren't such a great mom, you wouldn't care. Period. I know we've had lots of talks along this subject over the years, but the bottom line is, we put too much pressure on ourselves these days. There are not very many moms out there that put the time and energy into their kids that you do, and definitely not when they're puking their guts out. You are trying to keep yourself to a very high standard, which you have already set by being such a great mom. Lower the bar Linds. It's just not going to happen right now. You have the rest of their childhoods to make it up to them. And in the meantime, they are safe, happy, loved, and in seventh heaven-watching unlimited television. No more mom guilt Linds. No more. Keep the boys alive, pamper yourself, and in a few months, life is going to look a whole lot better. Let's just say that we're not sure Blake has an aggressive bone in his body. The odds were not in his favor to begin with. He had a cold and didn't sleep well the night before. He was told when he arrived that he couldn't wear his sunglasses in case the ball got kicked in his face (what every four year old wants to hear). And he is super sensitive to light, so he basically complained and cried the entire game about the sun being in his eyes. Add in the runny nose factor, going through so many tissues that we ran out, and being expected to go out on a field and try to kick a ball that five other kids were suddenly going after, and we didn't have the best recipe for success. When we actually coerced him to go out on the field, he stood there and sobbed. Or just ran right back to the sidelines mid-play. We left feeling embarrassed and frustrated and really didn't know how much to push vs. how much to let it go. We decided to give it another go the following week. Thankfully, each game since then has become a little less overwhelming. We've talked about being committed to a team and participating even when it is hard. He now knows what to expect and joins in without tears streaming down his face. That doesn't mean he goes after the ball unless it is his turn to kick it in, but he seems to be having fun running around and following the crowd. Or at least wandering to la-la land in his own mind while the other kids kick the ball. Nashy thoroughly enjoys shouting, "Go Blake! Go Blake!" each week from the sidelines. If Blake ever happens to tap the ball, he immediately turns to me to give me the thumbs up symbol (while the ball is stolen from the other team). This whole experience has caused me to think about pushing our kids to do hard things, teaching them to commit to what they start, helping them discover their natural talents and abilities, and the expectations we place on them. In the end, I think it has been good for Blake to be challenged, to adapt, and to accomplish something hard, even if he never becomes an all-star soccer player. We've been showering him with praise for the improvements he's made since that first game. And when we say, "We're proud of you, Blake," he responds, "I'm proud of me, too." My birthday was on Labor Day, back at the beginning of September. It should have been great. Since it fell on a holiday, Troy didn't have to work, and our really good friends were spending the weekend with us at the cabin. At the end of the day, Troy asked me, "In your 28 years, which birthday has gone down as the worst?" We woke up really early because we had tickets to ride on the local train. The train ride included a 7:30am breakfast before boarding. Early mornings are not great for me, and when we arrived we discovered that it was still cold outside, our kids complained endlessly because they had shorts on, and we had to wait in line for 40 minutes for a sub-par breakfast served by high school student volunteers. The actual train ride was fine. Probably the only thing that wasn't a disaster the whole day. Surprisingly, I didn't get sick. We went out with our friends to lunch at a Mexican place that we loved over the summer. Nash screamed the entire way there because we didn't have his nie-night. The blood-curdling variety. When we pulled into the parking lot, Troy's backseat car window would not roll up. Not with power and not even manually. It is still cracked open to this day. When everyone got their food, I was informed that they didn't have the soup I ordered (trying to keep it bland), so I had to order something else. Of course. I learned later that day that anything with the tiniest bit of spice is the worst thing to come back up (in addition to salad). Our kids were basketcases after lunch so we went back to the cabin for naps. I received several "Happy Birthday" phone calls at that point. My favorite; my in-laws and sister and brother-in-law who were all in Hawaii calling to say, "We're on our way to Honolulu to go surfing! What are you doing today?" "Um nothing. Trying not to puke my guts out for more than an hour and wishing that my house would magically be clean when I get back home." Troy gave me my birthday present - a new flat iron that he ordered because it was "such a great deal" while I was in the room with all of our friends during our Michigan getaway. Which I wrapped myself in the same gift bag that contained the present for his birthday two weeks earlier. We're not big on surprises, and I wasn't expecting my birthday to be anything special this year, but it was still a tad disappointing. I then went through several rounds of hovering over the porcelain bowl, tears streaming down my face because it was so awful and painful. Troy was asleep on the couch. It always takes forever to pack up all of our stuff and groceries and make sure everything is clean and fresh sheets are on all the beds before leaving the cabin. Our friends did a ton of the work before they had to leave, but we still had to tie up loose ends and I was so sick that all I could do was lay on the floor. It was at that point that our boys began to break down again. Blake had the umpteenth messy accident in his pants for the weekend, and Nash walked into the pantry, grabbed a box of Lucky Charms, and dumped the entire box on the nice cloth ottoman. Nash then proceeded to carry out the biggest tantrum I've ever witnessed in my life. Laying on the floor kicking, screaming, and scooting anyway from anyone who came near him. He was inconsolable - not that I was in a consoling mood. Instead, I just laid on the floor with him and covered my head with a pillow for 45 minutes to drown out the noise. We finally made it out of the cabin an hour and a half later. When we got in the car, I asked Troy, "Do you sometimes think; I can't believe this my life?" He laughed and replied, "Wife is crying, kids are crying, hate my broken car..."
Upon driving through the winding canyon, I lost it again in my handy airplane barf bag. I keep those in stock in my purse and all glove compartments. We picked up dinner from Zupa's (my favorite, even though it was long past the dinner hour) on the way home since I had literally had nothing left in my stomach. It tasted good for about two seconds until I lost that too. The house never got cleaned (even though that was my only birthday request), and I finally gave up on the day and went to bed around 9pm. Troy did bring home flowers the next day to try to repair the damage. Let me start by saying thank you so much for all the love you showed me after my little announcement last week. It may be all the hormones, but I got so emotional reading the comments and seeing the "likes" climb into the hundreds. I've been dying to get it out in the open, because this pregnancy has been rather hard on all of us and it's always tricky to keep it a secret when you're feeling so down. I was very sick with both of our boys, but this time it is exponentially greater. I'll admit, there have been many times in the last few months when I have not felt grateful. I've felt scared. to. death. I've felt shocked at the timing. I've felt bitter towards all those women who breeze through pregnancy with less than a handful of days of feeling sick. I've felt overwhelmed with the responsibility of taking care of two small, needy children when I can barely take care of myself. I've felt angry at how slow the time is passing, and incapable of getting out of bed some mornings to face another day. I've felt lonely - as if I'm the only one going through this and everyone around me is going on with their normal lives. I've felt despair. Some days I've laid in bed and just prayed for a miracle. But then I think about the miracle growing inside me. And how unfair it is that I have been blessed to carry three babies when so many others have difficulty or will never have that chance. I'm finally starting to imagine that delicious little baby body and the way they curl right up to your chest like they're still part of you. I can't think of any feeling I love more in the whole world. And even though it still seems like the sickness will last forever, I know somewhere deep inside that it won't. And I hope I don't ever take my health for granted when I'm feeling like myself again. I feel like I could do anything, anything, if I could make it through each day without feeling like I have permanent stomach flu. 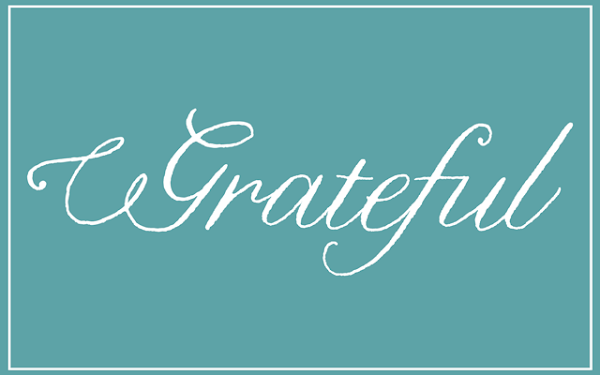 I always have so much to be grateful for, but I've felt it so much more lately. I'm not very good at asking for help, but so many have stepped in and insisted on lightening my load. There's the friend that has brought us a gourmet dinner every single week, claiming that she has "extra," but really I know that she is deliberately making extra so I don't have to cook (or have Troy pick something up again). There's another friend who drove an hour with her baby to take care of us for a whole day. She picked up lunch, made dinner, and even brought Blake to soccer practice. She tried to clean the house too, but I drew the line there. There's Blake, who has stepped up to help me in so many ways. He makes peanut butter and jelly sandwiches when I can't get off the couch. He surprises me by vacuuming the house. He reminds Nash not to bother me when I'm throwing up. He's still four and is very fluent in Whinese, but he has been a great help to me when I need it the most. And then there's Troy, who is my emotional sounding board. He puts up with me crying for no apparent reason. He runs to the grocery store for me, takes the kids out, and picks up household chores. I know this is not a fun time for him, but he seldom complains. There's my mom, who dropped everything for 10 days to come take care of our family. Which meant every meal taken care of, help with cleaning and running kids around, and me never touching the dishwasher once. And there's my best friend in Michigan, who gets just as sick during pregnancy as I do. She is the only one I can talk to that I feel really "gets" what I'm going through. And she does do willingly. Every single week. Which often does so much more for me emotionally than any amount of physical relief. There are countless others who continually ask me how I'm feeling and if we need any help. I usually turn them down and insist that we're fine, but just knowing that the concern is there helps me immensely. I am overwhelmed with gratitude for the outpouring of love that has been shown towards me. And even though I feel like I can't do anything in return to show these people how grateful I am, I hope that I can pay it forward someday. When I am feeling better, or when my children are grown up a bit, I hope I can help out other expecting moms that feel like I do now. And tell them that I remember what it was like. I hope I can show the same kindness that has been shown to me in this stage of life. Because I will be forever grateful. No, I didn't fall off the planet. My recent prolonged absence is due to our growing fetus. I'll be honest - I'm feeling about 50/50 on the shocked/excited emotional grid. I'm thrilled to be blessed with another sweet little one but I'm so very sick that it has been hard to get to the "excited" point. 18th of April - Due Date!